"Besides yourself that's two of you who think you're wonderful." A small two man spacecraft is on course for a secret destination known only to the pilot of the ship, Ensor. His colleague is a Federation surgeon called Maryatt. Passing a primitive, radiation-soaked planet called Cephlon, there is an explosion on board the ship and the two men are forced to eject. The explosion is witnessed both by Servelan and by the Liberator crew. Blake takes the Liberator to Cephlon and Avon, Vila, Jenna and Gan teleport down to the planet to search for survivors. Maryatt is dead but Ensor has survived and is taken back up to the ship. Meanwhile, Jenna has been captured by the savage natives of the planet and is held captive. Avon, Vila and Gan remain on the planet to look for Jenna while Blake and Cally tend the wounded Ensor Ensor was travelling to see his father who is seriously ill and needs both a surgeon and a set of power cells. Without the power cells Ensor's father will die. He insists that Blake fly the Liberator to his father's planet. When Blake refuses to leave without the rest of his crew, Ensor takes Cally hostage and forces Blake to start the journey. Servelan has summoned Travis to her headquarters. She explains to Travis that Ensor is the son of a great scientist and inventor - also called Ensor - who left the Federation many years ago. When Ensor Senior was ill, his son came to Servelan to negotiate the sale of something called 'Orac' in return for a large sum of money and medical assistance. Servelan pretended to go along with Ensor's request in order to discover the location of his father and Orac. It was she who arranged for Ensor's ship to be destroyed, leaving her free to move in and take Orac without needing to pay anything. She persuades a reluctant Travis, who is still obsessing about Blake to go with her to take Orac. Meanwhile, back on the planet Cephlon, Avon, Vila and Gan are attacked by the savages. They take refuge in what appears to be a rocket lauch control station that is built inside a hill. There they meet Meegat who says that she has been waiting for someone to lead her people to 'deliverance'. She believes that Avon is that person. There is a rocket, containing the appropriate apparatus to create new life, ready to launch and fly to a new planet but the launch controls are inoperative and the knowledge required to launch the rocket has been lost by Meegat and her people. However, before Avon can help Meegat, he and the others must rescue Jenna. Back on the Liberator, Ensor's wounds prove too much for him and he collapses. Before he dies he tells Blake to get the power cells to his father. 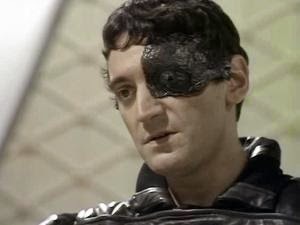 He also asks Blake to tell his father that the Federation have agreed to buy Orac. Blake promises to do this and then turns the Liberator round to head back and pick up the rest of the crew. Back on Cephlon, Jenna is rescued by the others and Avon successfully launches the rocket. He and the others return to the Liberator and they set off to locate Ensor's father and Orac. Blake: Doesn't feel threatened by Avon's presence on the Liberator or believe that Avon will do a better job of leading the mission on the planet than Blake would. Avon suggests that maybe Blake should feel threatened. 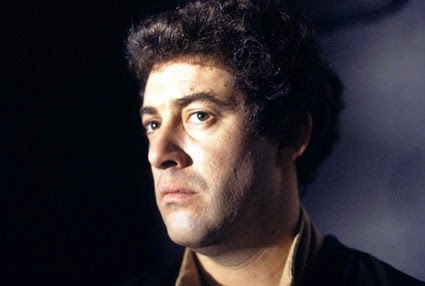 At the end of the episode, Blake admits to Avon that he doesn't like the responsibility of being a god, or at least a legend, any more than Avon does. Avon: Avon is mistaken for a god by Meegat, the young woman left to wait for him. Initially he seems happy to play on her beliefs and admits that he is "probably" enjoying the experience. However, by the end of the episode he seems less happy, feeling that his presence is "a poor reward, somehow" for all Meegat's devotion. Servelan: She purposefully ignores Travis when he first enters her office to see how he will react. When he does nothing she thinks that he's lost some of his fire since he was suspended from duty at the end of 'Project Avalon'. Servelan is anxious to get her hands on 'Orac' (whatever that is) by any means necessary. Although initially agreeing to buy it for one hundred million credits she knows that she will never be allowed to spend that sort of money. So instead she comes up with a plan to discover the hidden location of Orac's creator so that she can go there and steal it. The fact that her plan will result in the death of at least one innocent person (Maryatt) and the enslavement of his family means absolutely nothing to her. Travis: Is completely fixated on destroying Blake to the exclusion of anything else. He is willing to do anything to get his command back so that he can go after Blake. This includes sitting out his suspension and going through a board of enquiry into his handling of 'the Blake affair' as Servelan calls it. Despite his obsession with Blake, Travis agrees to go with Servelan to go and collect Orac. He compliments her, saying that she's "almost as ruthless as I am". He seems unhappy that Maryatt, the surgeon who had previously saved his life, has been sacrificed in order to further Servelan's plans and that Marriott's family will suffer as a result. I've never been hugely enamoured of this episode. Not that it's bad but it simply feels like it's there to fill time until the season finale. The main plot where Avon is mistaken for a god, is perfectly fine but it's just nowhere near as interesting as what's going on in the rest of the episode. It also feels like Terry Nation was falling back on some of his old story ideas in order to create a serviceable story. Meegat's rocket containing the remains of her people in cellular form sounds a lot like the projectile that the Liberator crew encounter in 'Time Squad' (and Gan even remarks on the similarity here) whilst the barren planet destroyed by nuclear war hearkens back to 'Duel' as well as the Daleks home planet of Skaro in Doctor Who. Whilst adapting or borrowing ideas from your own work is standard for most writers , I think it shows that Nation was struggling here when he had to take inspiration from episodes he'd written earlier in this very series. 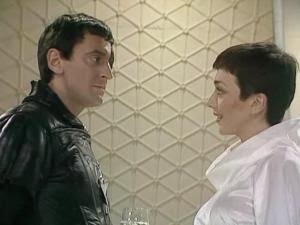 That said, Paul Darrow as Avon really does shine here, allowing us to see a slightly softer side of Avon's character in his interaction with Meegat and there's some genuine regret when he all but abandons her at the end. 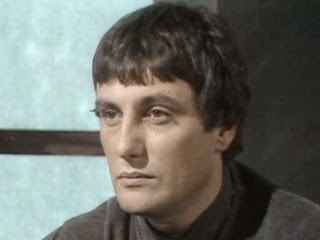 Michael Keating as Vila and David Jackson as Gan also gets quite a bit to do here but they're definitely playing second fiddle to Paul Darrow. The B plot is far more interesting and sets things up for the season finale. Although they're only in a couple of scenes, Servelan and Travis pretty much steal the show. Servelan is at her most wicked and corrupt and I actually felt sorry for Travis when he found out what Servelan had done to Marriott and his family. It certainly made him a more rounded character. "What is Orac?" asks Blake at one point in this episode. In the next episode we'll find out what it is and why the Federation are so desperate to get it. We'll see another showdown between Blake and Travis and there's a cliffhanger ending!